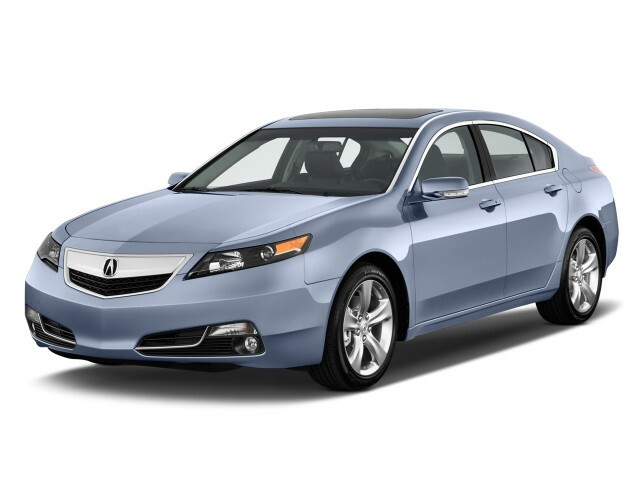 The Acura TL sat between the larger RLX and smaller TSX and ILX models in the Acura range. 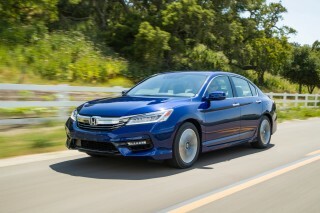 It was a mid-size luxury sedan, replaced in 2014 by the Acura TSX. For all the latest information on the TL—including pictures, specs, and pricing, see our full review of the 2014 Acura TL. 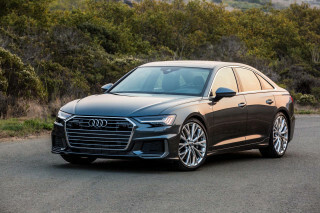 With a price tag that's a bargain compared to some other German sport sedans—if all-out athleticism isn't your top priority—the front-wheel-drive TL models emphasize technology over more traditional luxury. These TL models are more comfort- and design-oriented, and are rivals to the likes of the Nissan Maxima, Lexus ES 350, and Lincoln MKZ. 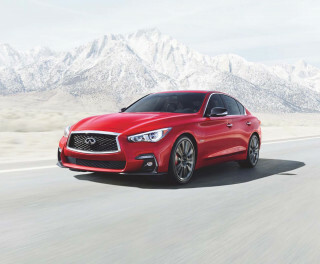 All-wheel-drive versions do tackle a tougher competitive set, including the BMW 5-Series, the Infiniti M sedans, and the Lexus ES and GS range of cars; unfortunately they've also landed in tougher pricing territory. The Ohio-built Acura TL has been on sale in the U.S. since 1999, while the imported Japanese-built TL replaced the Acura Vigor for the 1996 model year. Since then, it's grown and has become a technology leader and Acura’s second best-selling vehicle behind the MDX. Early models were powered by small yet powerful five-cylinders or compact V-6s. 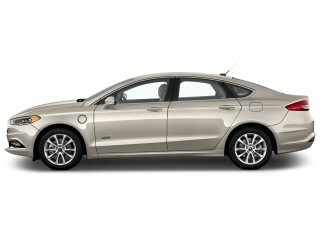 The five-cylinder unit was dropped after 1998, making the 3.2-liter V-6 the sole engine available for the second-generation model. Four generations of the car have been built, with the first run lasting just three years. The second-gen car offered a 3.2-liter engine, automatic transmissions only, and a Type S variant that boosted horsepower of the 3.2-liter V-6 to 260 horsepower was availble in 2002 and 2003. The third-generation car is perhaps the most beloved, its attractive lines still turning heads today. The Acura TL grew slightly in size, but its engines dropped the 2.5-liter option, adding a 286-horsepower, 3.5-liter V-6 above the now-standard 258-horsepower 3.2-liter engine. The fourth generation of the TL started in 2008 as a 2009 model and as a completely fresh design. Its controversial styling have won it fans and foes alike--and its seemingly robot-inspired front end has been toned down a bit since (most recently, again for 2012)--but its competence on the road, particularly in SH-AWD form, which features a 3.7-liter, 305-horsepower engine and all-wheel drive, has proven the new TL is a solid package. For the current TL, the only major disappointment is trunk space--a measly 13.2 cubic feet. And shoppers should also be aware of the greater road noise in all-wheel drive cars and those with the larger 19-inch wheels. 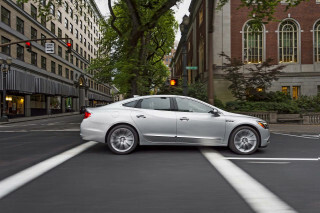 Recent years have brought a top Advance Package that includes ventilated front seats and a blind-spot system. The most recent Acura TL was offered in base and SH-AWD models, with the base car powered by a 280-horsepower V-6 engine driving the front wheels. Key features included Acura’s standard navigation system, automatic climate control, a five-speed sequential SportShift automatic transmission (six-speed manual available on the SH-AWD) and more high-tech communications, audio and safety gadgetry than you can shake a stick at. Optional upgrades include a rear-view backup camera, GPS-linked temperature control, a hard-drive-based navigation system with live-traffic features, excellent premium audio, and a voice-recognition system. I bought this car third hand with eighty thousand miles on it. It had been well cared for by the previous owners and I too, look after it well. I use synthetic oil and change it regularly [3ooo mi.] I burn... I bought this car third hand with eighty thousand miles on it. It had been well cared for by the previous owners and I too, look after it well. I use synthetic oil and change it regularly [3ooo mi.] I burn Premium fuel too. My Acura now has 15700 miles and has yet to fail at anything. I'm hoping for another 157000 miles of trouble free driving. Best and most reliable car I have ever owned! !